Despite criticisms that followed the heavy presence of security men during the Ekiti State governorship election, the Federal Government is planning tight security for the August 9, 2014 governorship poll in Osun State and the 2015 elections. SUNDAY PUNCH gathered from sources on Friday that security agencies, especially the police, would pay special attention to some All Progressives Congress states when deploying personnel. It was also learnt that security agencies would, next month, repeat in Osun State, what they did during the Ekiti State governorship election. Our correspondents gathered that states that were being targeted for special security focus include Lagos, Ogun, Oyo, Rivers, Kano, Borno, Adamawa, Sokoto, Yobe and Imo. When contacted, the Police Force Public Relations Officer, Mr. Frank Mba, confirmed that the police, in collaboration with other agencies, would ensure tight security during the 2015 polls. He, however, said security agencies were not targeting opposition parties, saying all the states, where elections would hold, would be given equal attention. Mba said it was only a political party that had something to hide that would be afraid of security personnel deployment during elections. He stated that security operatives had no other business during elections but to ensure that the due process was followed and that elections held in accordance with the Electoral Act. “The police and other security agencies are like light; they are meant to shine light on the electoral process and if a party has nothing to hide, it shouldn’t be afraid of our deployments,” he stated. Mba said the Force, under the Inspector-General of Police, Mohammed Abubakar, would continue to maintain professionalism and adherence to their code of ethics during election monitoring. Mba said, “The deployment of security personnel during the 2015 elections will ensure the process is free and fair. The police are apolitical and we have continued to maintain that stance since the current IG assumed office and this could be seen in the way policemen conducted themselves during elections in Ondo, Edo, Anambra, and Ekiti states. The force PRO explained that the police were building capacity to ensure elections were violence-free. Mba, who is an Assistant Commissioner of Police, said the force was already constructing helipads in Enugu, Benue and Nasarawa states. He added that more helicopters would also be procured to increase the aerial power of the Police Air Wing. He said, “Helipads are being constructed in Enugu, Benue, Nasarawa and other states for the election. We are having a whole lot of helicopters. Adverts are already placed for recruitment of aviation engineers and aircraft maintenance and the rest of them. Mba said the police were doing their best to ensure transparent and credible polls across the country. On the likely criticisms that may trail deployment of security personnel during the 2015 elections, Mba stated that the freedom of people to ventilate their divergent opinions is part of democracy. But reacting to the plan for massive security deployment in the 2015 elections, opposition politicians and civil rights groups warned the Federal Government against undermining free and fair elections. A delegate at the ongoing National Conference, Dr. Junaid Mohammed, alleged that plans to deploy armed military personnel for the 2015 elections just as it was done in Ekiti, was a ploy to provide cover for the rigging of the elections. Mohammed said this in a telephone interview with SUNDAY PUNCH, in Abuja, on Friday. He said it was a historical fact that election rigging had never succeeded in Nigeria without the support of the police and other security agencies. According to him, what happened in Ekiti was the acting out of a script written by the Peoples Democratic Party-led Federal Government and executed by security services. He said, “What happened in Ekiti is not an accident. It wasn’t a fluke and what is going to happen in Osun, is also not going to be an accident. Mohammed said heads of some security agencies were at the centre of the plan to rig the elections. Mohammed alleged that the President granted an extension to the tenure of the Inspector-General of Police, Mohammed Abubakar, who is due to retire this July as a reward for performance in Ekiti. But Mba dismissed the allegations against the IGP. 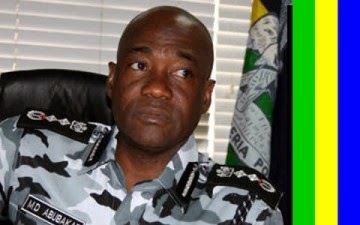 Responding to allegation that the IG’s tenure was extended by one year because he assisted the PDP to rig the Ekiti governorship election, the Police spokesman said he could not comment on this as there was no document or evidence to show that Abubakar’s tenure had been extended by the Federal Government. He described the allegation of rigging as a “slap on the face of Ekiti voters” whom he said applauded the process as free and fair. Also, a national leader of the APC and a former national chairman of the defunct All Nigeria Peoples Party, Dr. Ogbonaya Onu, said what happened during the governorship election in Ekiti State should serve as an eye-opener to the role fear could play in the coming elections. He said, “The level of intimidation and harassment was very disturbing to us. We shouldn’t fail to see the place of fear in politics. “Intimidation and harassment breed fear and when there is fear you find that there will be suppression of votes, because if somebody feels that he or she is not secure, he may not even come out to vote. We have not really looked at that angle. Such happenings, he said, had the potential of affecting many things in Nigeria. Also, the Executive Director, Africa Network for Environment and Economic Justice, Rev. David Ugolor, recalled that the Edo State Governor, Mr. Adams Oshiomhole, and his Rivers State counterpart, Mr. Rotmi Ameachi, were stopped from entering Ekiti State. On his part, a civil rights activist and President, Nigeria Voters’ Assembly, Mr. Mashood Erubami, said heavy deployment of security could create a conducive atmosphere for harassment of voters. He said, “Heavy deployment could in turn create conducive atmosphere for the harassment, intimidation, disruption of campaign processes and may also create fear in the minds of the electorate leading to very low turnout of voters. He, however, noted that what determined the magnitude of security deployment were the pre-election attitudes of stakeholders and the subsisting security.